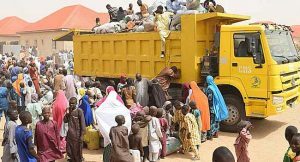 Influx Of IDPs From Taraba Will Hurt Us Soon, Adamawa Govt Laments – Royal Times of Nigeria. The Adamawa State government says a humanitarian crisis may be looming in the state, as a result of the herdsmen-farmers crisis in parts of the country. Governor Mohammed Jibrilla raised the alarm in a statement on Thursday by the Commissioner for Information and Strategy, Ahmad Sajoh. He attributed the likely cause to the influx of Internally Displaced Persons (IDPs) from communities attacked by armed herdsmen in neighbouring Taraba State. The governor explained that the situation was a spill-over of the crisis in Bajum-center in Taraba, lamenting that the IDPs were already trooping into Gorobi in Mayo-Belwa Local Government Area (LGA) and Kpasam in Demsa LGA of Adamawa. He was worried that the present situation has worsened the humanitarian crises in the northeastern state of the country. 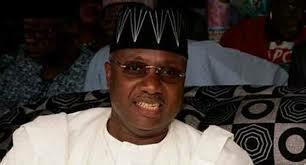 Governor Mohammed, however, condemned at the spate of attacks in some communities in Adamawa and vowed to mobilise all resources to ensure that the situation was brought to a halt as soon as possible. He noted that the government would no longer condone acts capable of undermining peace in the state and scuttling the developmental efforts of his administration. The governor further commiserated with the families of victims of herdsmen attacked in Bajumi-Yashi community in Demsa, Numan and Kola in Guyuk.